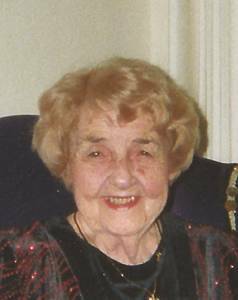 Kathleen T. Matyas, 88, passed away June 4, peacefully. She is preceded in death by Stephen Matyas Jr. Loving mother of Paula Matyas (John Beach), Kathleen Matyas (Shawn Holt), Stephen A. (Kathy), Timothy R. (Kasey), and Eileen Spadaccini (John). Beloved grandmother of 6 and Great grandmother of 3. Dearest sister of Loretto Bresette and the late Marguerite, Virginia, William, and Patrick. Family will receive friends Monday, June 13, from 1-3pm at Leonard A. Turowski and Son Funeral Home, 9300 Middlebelt Rd (btwn W. Chicago and Joy Rd) , where a funeral service will be held at 3pm. To sign the online guestbook or to leave a condolence for the family choose the appropriate tab above.